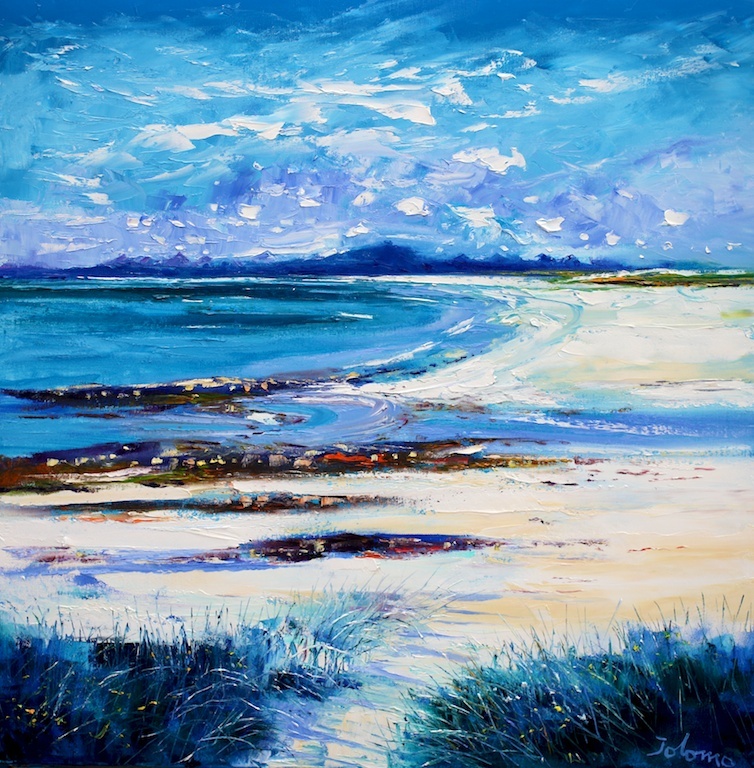 Evening Summerlight Isle of Gigha. 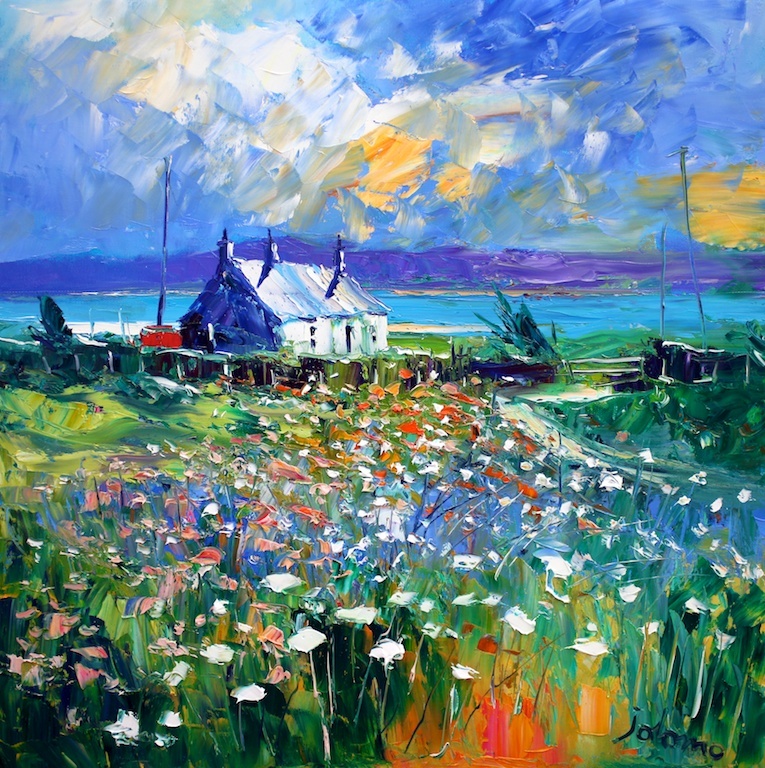 It is not hard to believe that this is the 14th London show for the very popular Scottish artist (Dr John Lowrie Morrison OBE) who has a deserved worldwide following, including celebrities such as Sting, Rick Stein and Madonna. His works always bring a breath of fresh Scottish air to London and who knows the SNP MP’s may do the same for the House of Commons. Big Squall over Scalpay Lighthouse. 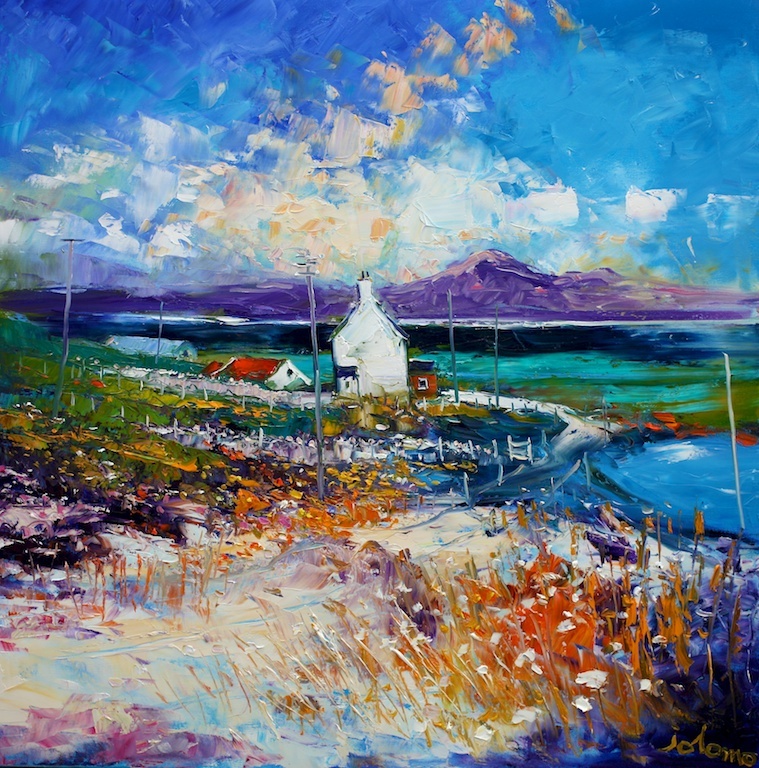 High Summer on Isle of Berneray. A percentage of the proceeds will go to the Carers Trust. Summerlight Isle of Berneray looking to Harris. Hours: Mon-Sat. 10 – 6pm. Sat 30 closes at 2pm. Sunday 11-4pm. Open Bank holiday Mon 25. 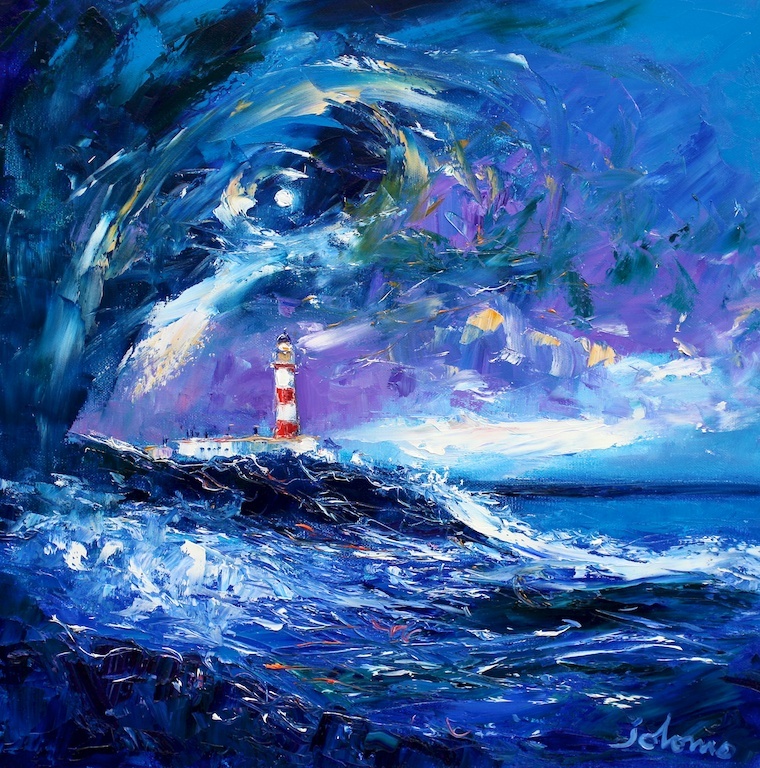 This entry was posted in Contemporary Art, Fine Art, Visual Arts and tagged contemporary art, European Art, Fine art, Hebrides, Jolomo, SNP MPs, Visual Arts.